I think it’s also important for people to understand that you are your own company. You have to go into this industry with the mindset that even though you are surrounded by people on set, you are still very much the CEO of your own career. I definitely have a strong support system in my agents at Clear Talent Group and Atlanta Models and Talent. Also Step Up and YouTube have done everything they can to support my career, but those entities can’t do their jobs if I don’t manage my own self. I have to know my brand and I have to take care of myself or that support system will mean nothing. That’s still a skill I’m acquiring, but I’m definitely getting better at it. 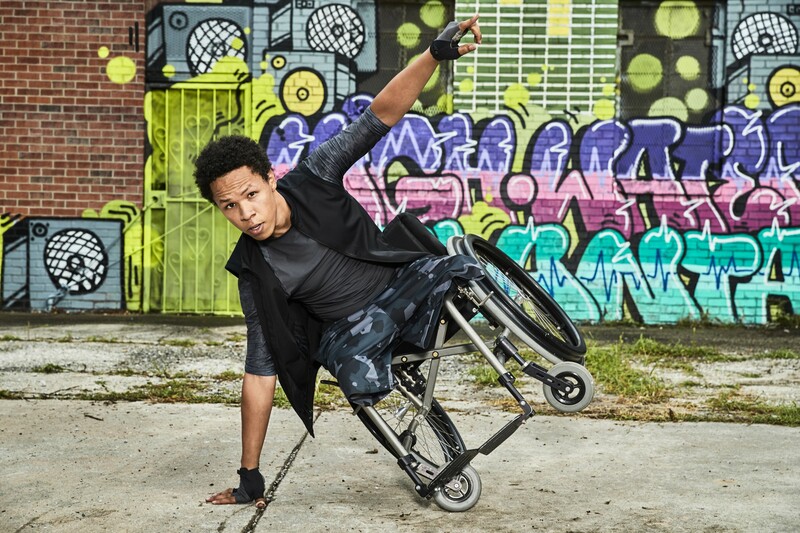 As a part of my series about TV’s rising stars, I had the distinct pleasure of interviewing Eric Graise, a singer, actor, dancer who is currently featured as King in the YouTube Original series STEP UP: HIGH WATER. He’s a graduate of the University of West Georgia where he procured a bachelor degree in Theatre. 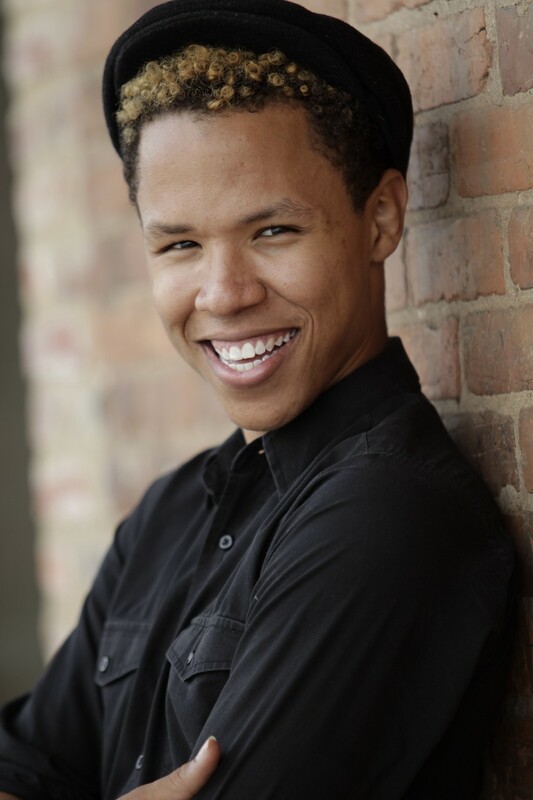 During his studies, he was a two time finalist in the Kennedy Center American College Theatre Festival Region 4 (best musical actor and best comedic actor) and the first National Kennedy Center Blanche and Irving Laurie Fellow in his region. He portrayed roles such as Sally Bowles in CABARET, Papa Ge in ONCE ON THIS ISLAND and Tom Collins in RENT. He was also heavily involved in directing, playwriting, scenic design, lighting design and was president of his fraternity, Alpha Psi Omega. Upon graduation, he was invited to speak on a White House panel for the 25th Annual Celebration of the Americans with Disabilities Act. He has worked as the casting associate of Actor’s Express, located in Atlanta Georgia, as well as a dancer in Atlanta’s own Full Radius Dance Company. As a budding actor, Eric hopes to expand his advocacy through social media grassroots efforts and plans to continue building his career as an artistic professional. Absolutely, thank you for having me! I’d have to say that my childhood was quite interesting. I was the goofiest kid and growing up as a multi-minority definitely lended itself to challenges. But luckily enough, I was not only raised by a loving and supportive mother, but by a community of people that never once suggested my disability would either be a hindrance or a mode to the success they sought to cultivate in me. If anything it was my attention span they were concerned with, Haha, but no, my family has always been my rock. We have a family motto: “if you’re gonna do it, do it right” which I’ve taken with me in every aspect of my career. That’s a tough one considering I’ve never wanted to be anything other than a performer. Mom always says I was singing before I could even speak. I guess that would have to be it then, music. I would take my Musiq Soulchild cds into my room closet at like, what, 9 years old, close the door, turn on the light and just listen from track 1 on. I really would study the CD booklet, reading the names of all the people who collaborated on the album. I wanted my name on something like that so bad. Honestly I took to everything in the arts, hoping something would stick as a career. Eventually, I found a home in the theater where my love for everything artistic is combined in one place. I’ve had the pleasure of doing some pretty wild stuff, from being a guest panelist at the white house to performing for executives at the Public Theatre in New York. I would say the most interesting story would be how I landed the role of King with Step Up. Before booking the role, I was in a dance company called Full Radius Dance Company. It’s a professional company with dancers with disabilities and able-bodied dancers as well. We were just on our way to tour Spain, when my director, Douglas Scott, gets an email stating they’re looking for this character King. After reading the description, I knew I had to submit. I made a quick video of myself freestyling and I also sent them some of my singing as well. Two days later I get a call back and right before I get on the plane I get an email stating I’ve landed the role. I couldn’t believe it. After touring Spain for the American embassy, I got back to the states and just a few days later I’m acting in a scene with Ne-Yo. It was absolutely nuts. I’m super excited and very flattered to have been asked by Tommy Hilfiger to help usher in the pre-spring collection for their adaptive line. The line is designed to help make dressing easier for people with a wide range of mobility challenges. It’s super cool and I was definitely honored to be a part of it. If you visit their adaptive website, I’m right there on the front webpage with my good friend Shaholly and some really adorable kids. When I’m not modeling, that sounds so arrogant, but there it is, I’m usually tucked away somewhere writing. I’m working on three pilots at the moment, so hopefully in a few years you’ll see one of those bad boys on screen. Representation. Representation. Representation. I’ve been calling for inclusion from the moment they let me step foot into the room. In fact, I plan on wedging my prosthetic in the door and screaming “Okay guys, this is it, we’re in there.” I think that’s been the goal of pretty much any performer of any minority group that is underrepresented. You don’t always go into it thinking that’s what you’ll do, but then you find yourself there and you have to say something because… well… you’re it. Luckily for me, Holly Sorensen, the showrunner and creator of Step Up: High Water, grew up with a sister who was a part of the community, so I never really had to justify my existence. Holly created King almost to my exact description without having any idea I was out there. Plus she’s like, super woke, but not every writer’s room is blessed with that. First off, let’s dispel this myth that people with disabilities have to be encouraged MORE than able bodied people. People with disabilities know what they’re capable of and 9 times out of 10 will pursue their passions regardless. We need representation because no one wants to go into a field where they feel they won’t be accepted. At the end of the day, we have to eat just like anyone else. More representation means more jobs which means more people taking a chance on following the dream they’ve already been cultivating for themselves, which means more diverse and interesting art. Also representation is important because the same old same old gets old. We live in a day and age where we don’t have to wait to see a movie or an entire season of a television show. So it’s quite lucrative to be more diverse because audiences are expecting that. Lastly I’d say diversity is needed for our children. Kids absorb so much without realizing they’ve even learned anything. The more you put in a kid’s face, the less confusing it’ll be when they approach it in life, which will in turn, make for some pretty great adults. I’d say hire diverse. Period. Not just in front of the camera, not just in the writers room, but period. Look around the room and ask yourself, who’s missing? Also one person isn’t a quota met. There is diversity within diversity, so please understand that one person isn’t a voice for an entire community. For example, I’m speaking from my own perspective and worldview, but there could be people within my own communities who disagree with me on pretty anything I say in this interview. Also try to understand that not everyone wants to be a champion for their communities. Sometimes people want to simply be themselves and be seen as just that. Crazy thought, right? I can’t tell you how many times people will bring up my disability upon first meeting me and I end up rolling my eyes. That isn’t always the case, but it’s quite frequent. If you allow people from minority groups to just thrive, it really won’t take long for you to realize where their head is at and how they want to be approached on the topic. Honestly, for me, it doesn’t seem like a hard concept, but so many people get it wrong. Oh wow. This is tough because I feel I’m still in that stage of “first starting”. There is so much I want to do and so much I’m still confused about. I think the first thing I’d say is something my friend and sometimes acting coach, Lee Osorio, said to me. He said “no one knows what they’re doing”. I almost laughed and cried at the same time when he said it. He went on to explain that everyone is trying to do their best and no one really knows for sure how things will turn out. For someone like me who is high anxiety prone, that was some great advice. Sort of like a play on “imagine everyone in their underwear”. You don’t always have to be so tough on yourself for being insecure. Really just go into it controlling the things you can control and forgiving yourself for things you can’t. OH! That’s another one. I took a workshop at the National Kennedy Center in DC when I performed there as a Blanche and Irving Laurie fellow and that was something I’d heard. Making sure you give your all on things you can control and stop obsessing over the things you can’t. When you go into an audition, you can’t control who else is auditioning, the weather, how the auditioner feels. What you can control is knowing your script and what you wear and how prepared you are. Focus on that and forget the other factors. They’ll only weaken you, when choosing to forget those things is actually something you can control, with practice of course. Finding another passion that has nothing to do with television and film has always helped me. I took up Fencing, which not only keeps me exercised, but helps with concentration and form. Honestly I hope that I can be an advocate for any movement that makes sense. I’m definitely not shy when it comes to my views on race, sexuality, gender and abilities. I will speak my mind whenever asked and will do my best to speak openly and honestly for any group that feels oppressed. There are so many people I’ve had in my life who have inspired and encouraged me to succeed. Some of which were teachers, mentors or even fellow colleagues. But no one has had as great an impact on me as my mother. My mother was only 18 years old when she had me. She was living in a new city, just started college and was working at Burger King. Today she’s a very successful businesswoman and unequivocally my inspiration. There have been so many times when I’ve had to call her up for either advice or just to vent. When I was in college, I spent three months in New York City for an internship. The internship was with a Broadway casting agency, right in the middle of Time Square. During my time in NY, my wallet was stolen, I rented from an absolute jerk who eventually left me homeless for a day, and I moved to Red Hook two days before Hurricane Sandy. All of which while attending a high pressure internship. It would be safe to say that I was very stressed. One night, I was walking home from work in the rain and I called my mother, balling my eyes out. I had convinced myself and was now trying to convince her that I would never be an actor. Every day I was looking at headshot after headshot and resume after resume and felt so insecure that I was nothing like the other actors who were being cast. I was throwing out so many reasons why it would never happen for me and my mother wasn’t having any of it. In fact, she was quite angry at me. She said she couldn’t understand why I didn’t see in myself the things she saw in me. She basically spent about an hour on the phone listing the reasons she knew this was going to happen for me. There has never been a time when she hasn’t been in my corner cheering and pushing me to keep going, even when I’m the person standing in my own way. I’m gonna be a total fan kid right now and say Jason Mraz. I think he is one of the greatest lyricist of all time and overall just a cool individual and philanthropist. His music has gotten me through so much darkness and I don’t hesitate to call him a mentor. I would love for a moment to sit down with him and just pick his brain on the philosophies of life. Anyone can find me on my Instagram account @easygreazy. I update that account on a regular, so you can definitely keep track of my adventures from there.